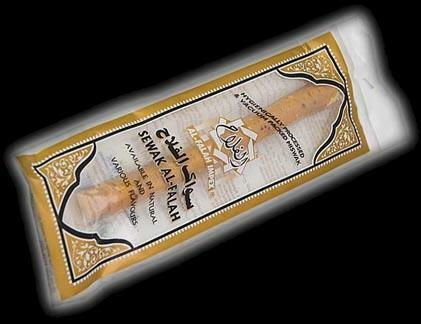 Miswak is also spelled as Miswaak, Meswak, Miswaq or Meswaq. In Arabic, it's also known as sewak. Some people prefer spelling it as sewak, siwak, siwaak and with such small variations. We order 7 boxes till now. These are very fresh n too good. Delivery also on time. Differently I recommend for feature customer. They are best out of other four different sites. This is by far the best miswak I have tried. Not too hard, not too soft. Just the right size. These sticks are really good, they helped to cure my teeth and slowly my teeth are becoming better. thank you for a good product and fast service. in a box you get a variety of miswak sticks, small ones for kids and large ones for those with "horse teeth", basically the whole family will have one thats the right size, not to mention its quite fresh and good quality. Alhamdulillah, very nice product. Fast shipping. They went out of their way and sent the sewak overnight so we can get it in time for our program. May Allah bless them and give them lots of barakah. Ameen.